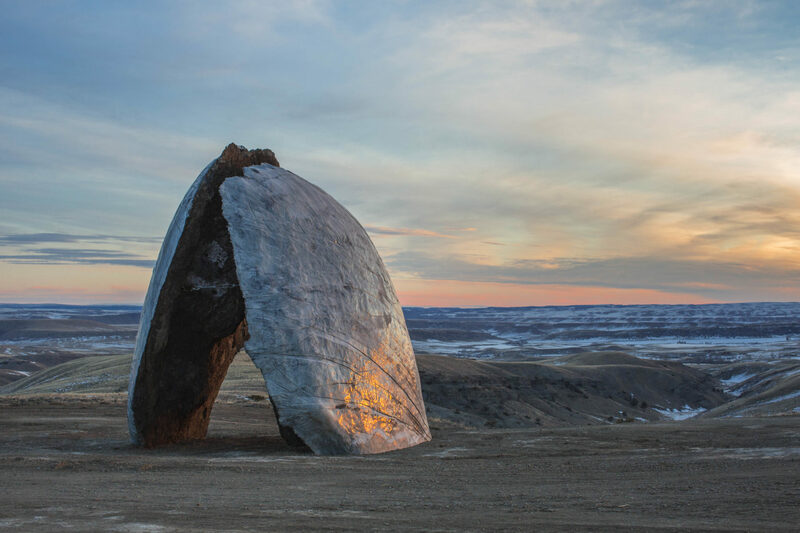 Landscape and sculpture become nearly one with Ensamble Studio’s large-scale sculptural installations in at the Tippet Rise Art Center, a contemporary center for art and music located northeast of Beartooth Mountains in Fishtail, Montana. The installations are mammoth in size, speaking to the scale and vastness of the local terrain, which is a 11,500-acre working ranch just north of Yellowstone National Park. The concrete sculptures are born of the site: for the sculpture Beartooth Portal, Ensamble Studio cast two massive reinforced concrete concrete forms in man-made earthen depression. This geological exploration yields a raw and primitive aesthetic. 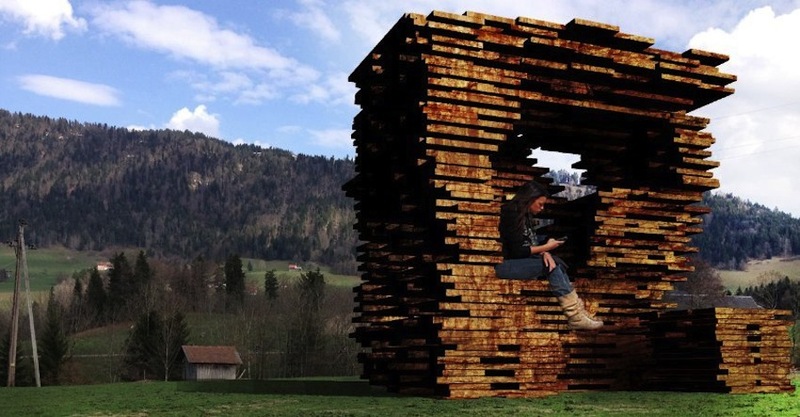 [youtube https://www.youtube.com/watch?v=nqnxDjUmyAc] Ensamble Studio, led by partners Antón García-Abril and Débora Mesa, have completed three of these earthen sculptures—Beartooth Portal, Inverted Portal, and Domo. Ensamble Studio presented ideas for eight additional sculptures at the Venice Biennale none of which are currently being pursued. Domo, completed last week at Tippet Rise, is depicted in photomontages as a small upside-down mountain range. 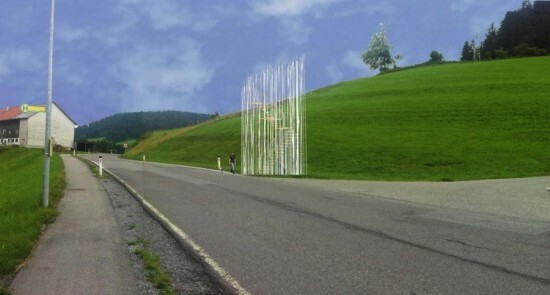 Visitors will be able to walk beneath the sculpture into an open space reminiscent of ancient caves. Its casting process was even more complex than that which was used for Beartooth Portal and Inverted Portal. Tippet Rise Art Center will open on June 17, 2016.